Energy And Weight Loss! Amplified Weight Loss! Full Throttle Fat Burner To Slay Unwanted Fat Cells And Unearth The Requiem Of Energy From Within! 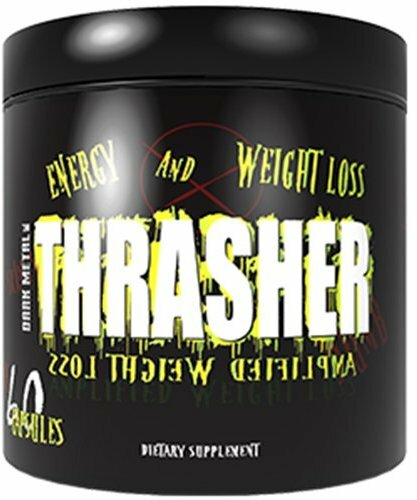 Hailing from its predecessor brand Insane Labz, Dark Metal Inc introduces its newest full throttle fat burner, Thrasher! 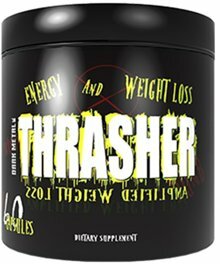 With powerful ingredients, such as Ampiberry, Alpha Yohimbine, & Bioperine, Thrasher contains the potency to slay unwanted fat cells and unearth the requiem of energy from within. Now is the time to rise, reconstruct, and build your body stronger than ever; now is the time to shred.